The Spirits International Prestige (SIP) Awards takes a fresh approach to beverage competitions by linking producers to the people who matter the most- The Consumers. Last year’s SIP Awards were a smashing success, and we’re excited to see what our 4th annual event will showcase! The stakes are high and the rewards are even greater as more entrants confirm their spots in this year’s competition. Is your brand registered yet? If not, time is running out, and you will need to submit your entry prior to the early entry deadline of Tuesday, April 10, 2012. Winning a SIP Award medal will empower your brand. Our Consumer Judging Panel strips away the layers of elaborate marketing, brand recognition, price point disparity, and most importantly, the bias of established judges. Whether your spirit is a veteran in the game or a newcomer, already famous or almost famous, it will be judged in a blind tasting strictly on the characteristics of Aroma, Taste, and Finish. By winning a Bronze, Silver, Gold, or Platinum SIP Award, your brand will become known as the consumer’s choice for your spirit category. We will provide you with a marketing kit complete with certificates, license free medal artwork and logos. 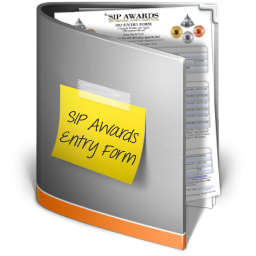 A SIP Award is an accomplishment that speaks volumes to your customers and distributors. It is a prestigious badge of honor to present to anyone considering carrying your product. We aren’t the only ones who believe in this approach. The following organizations are working with us to ensure that this year’s SIP Awards are even better than the outstanding show we put on last year. Now is the time to reserve your brand’s place in the SIP Awards and show the world that your spirit is the Consumer’s Beverage of Choice.